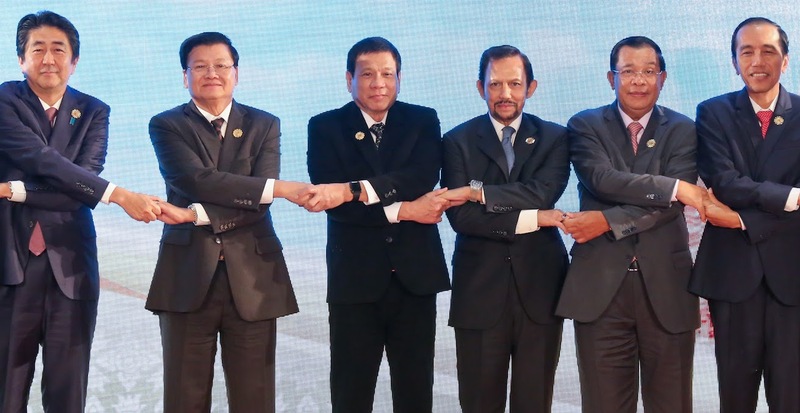 The absence of Philippine President Rodrigo Duterte from this weekend’s ASEAN-Australia summit presents a missed opportunity not just for the Philippines, but for ASEAN as a whole. President Rodrigo Duterte’s decision to skip the ASEAN-Australia summit on 17-18 March did not come as a surprise. Despite the warm gesture extended by Australian Prime Minister Malcolm Turnbull through a personal invitation, Duterte was unimpressed. Citing development issues as his main agenda for staying put in Manila, Duterte chose to send his top diplomat for the two-day summit instead. The firebrand leader’s decision to turn down the invitation stems from his scepticism towards governments or states that have criticised his war on drugs policy. But why is the absence significant? The Philippines has been at the centre of crucial developments in the region that mainly underscore regional security and stability. 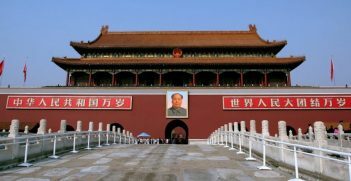 Duterte’s foreign policy predispositions continue to facilitate China’s growing assertiveness, which aggravates the absence or lack of commitment of the US in the region. Through the summit, Australia’s aim is to buttress the declining international or regional order by engaging its immediate neighbours in Southeast Asia and key partners such as the Philippines. 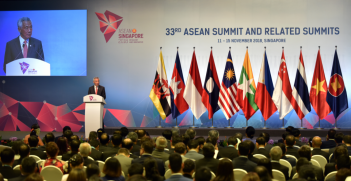 Australia views the conference as an opportunity to reaffirm its commitment towards strengthening cooperation with its neighbouring states through ASEAN, as reflected on its 2017 Foreign Policy White paper. It considers the active participation of the Philippines critical due to both states’ shared democratic values and history between its people. 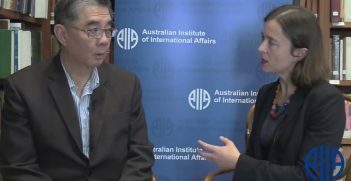 As one of the longstanding American allies in Asia, it is in the key interest of Australia to ensure that the US alliance framework in the region remains viable by engaging fellow US allies like the Philippines. However difficult, Australia recognises that it is only through the promulgation of shared values and expectations among American allies such as the Philippines that the US-led order can be maintained and strengthened in the Asia-Pacific. Similarly, it is also in the best interest of the Philippines to maximise the forum to engage Australia and ASEAN in addressing its domestic and external security concerns. The emergence of the IS-linked Maute group is a game changer in Asia’s regional security landscape. The city of Marawi has been liberated but the possible resurgence of the IS-affiliated group in the near or distant future remains feasible. It means Australia and the Philippines must seek new pathways that forge stronger counter-terrorism initiatives. As the second largest provider of military training to the Armed Forces of the Philippines (AFP) next to the US, the Philippines is best advised to cooperate with Australia to build on existing bilateral education and military exercises with special focus on urban warfare tactics. Existing and future defence and military training through joint exercises conducted under the Defence Cooperation Program could also be expanded to regional counter-terrorism cooperation. Another shared concern among ASEAN states, especially the Philippines, and Australia is the ongoing militarisation of the West Philippine Sea or the South China Sea by China. In its most recent Foreign Policy White Paper, Australia has explicitly denounced efforts which use disputed features and artificial structures for military purposes. Recognising the sea row as a flashpoint that could ensue to outright conflict, Australia vouched to increase cooperation in maritime security capacity-building as well as strengthening bilateral ties. Australia has identified Vietnam as a strategic partner in bolstering confidence-building measures. For its part, Vietnam has been proactively cultivating its relations with Australia, using the partnership as a hedging strategy against China. With the Philippines’ existing military relations with Australia, establishing maritime security cooperation will not be a hardline task. Existing military cooperation can be expanded to include confidence building in maritime cooperation. In addition to these security partnerships, the summit could also review n development of the proposed code of conduct (COC) which will aid the Philippines and other ASEAN claimant states halt China’s ongoing reclamation and militarisation activities. Despite its reluctance to raise the arbitral ruling against China, the Philippines’ active participation is crucial in making the COC legally binding and effective. The Philippines’ landmark victory could be used as a framework in crafting the COC that is consistent to international law. In multiple forums, Australia has consistently affirmed that the arbitration ruling of the Permanent Court of Arbitration on the South China Sea ruling is binding among all parties. Moreover, as Australia takes the lead in this summit, taking concrete steps in addressing the South China Sea dispute could mitigate the continuous fracturing of ASEAN caused by this debilitating issue. However, this is a delicate path that Australia must tread. It must emphasise that consolidating ASEAN centrality on the maritime issue warrants the continuous relevance of membership in the regional institution. The absence of Duterte presents a missed opportunity, not just for the Philippines but also for ASEAN. Notwithstanding the differences in political views, Duterte’s behaviour presents a far more worrying trend towards the Philippines selective engagement with its longstanding foreign allies and partners. Duterte’s selective attitude, especially among the Philippines’ longest allies and partners like Australia, continues to damage the Philippines longstanding partnerships. This has a far-reaching implication even after his Trump’s term expires. His personal irritation regarding any criticism levied against his war on drugs policy comes with the hefty price of disparaging view of the Philippines as a viable partner in addressing security concerns and maximising economic opportunities. Mark Manantan is a research graduate from the Australian National University. His research interests include US Alliance politics, Philippine foreign policymaking and middle power activism in the Asia Pacific. This article originally appeared in The Diplomat on 9 March 2018. It is republished with permission.